While it was funny then, it’s true now. 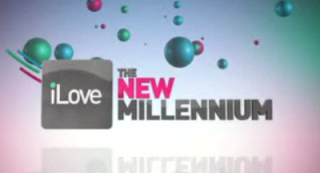 This week VH1 is airing, iLove the New Millennium. The obvious follow-up to I Love the 70’s, 80’s, and 90’s is a few years too early. They can only run eight episodes instead of ten. Tonight is 2004 and 2005 while tomorrow finishes up with 2006 and 2007, just under six months after the actual year ended. But I’ve been watching because it is always funny. Hopefully they will wait until 2010 for iLove the New Millennium, Service Pack 2 or whatever they will call the sequel.